The Grandstream GXP1450 is a new generation professional IP phone for connecting up to 2 SIP accounts to make calls using the IP telephony services. The Grandstream GXP1450 is a new generation professional IP phone for connecting up to 2 SIP accounts to make calls using the IP telephony services. It is ideal for businesses looking for a high quality IP phone and rich in features at an affordable price. 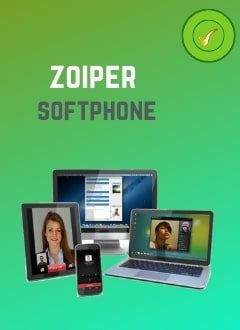 This IP phone provides excellent HD audio quality, many innovative phone features, information services and customizable applications, automated provisioning for easy use, advanced protection of privacy and broad interoperability with most SIP devices from other manufacturers and the mos common SIP/NGN /IMS platforms. Take advantage of an IP phone with a large graphic LCD 180x60 backlit, 3 XML programmable keys, 2 network ports with integrated PoE and multiple conference (3-way).